I’m a very nosey person, and What’s On My iPhone videos are amongst my favourites to watch on YouTube; I always end up with a huge list of new apps to download after watching these videos! 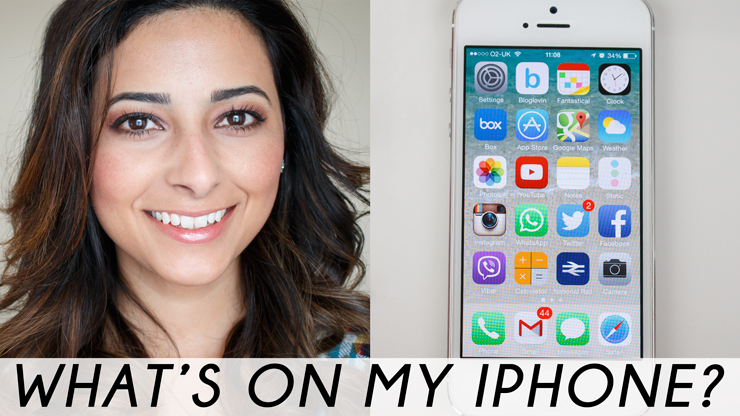 My last ‘What’s On My iPhone’ video was over a year ago, so I thought it was time for an update. I change my apps quite frequently, and most of the apps I had back then, are long forgotten and replaced with new ones by now. Love this video! I’m on the app store downloading some of these apps right now! A quick aside, I had a question regarding your blog. What is the youtube widget you use in your sidebar! I just love the look of it – my sidebar looks like muck compared to yours. Would love if you would share the widget name. Thanks! As always, love love love your blog!